WrestleMania 33 on 4/2 at the Camping World Stadium in Orlando will be remembered for a number of different points. 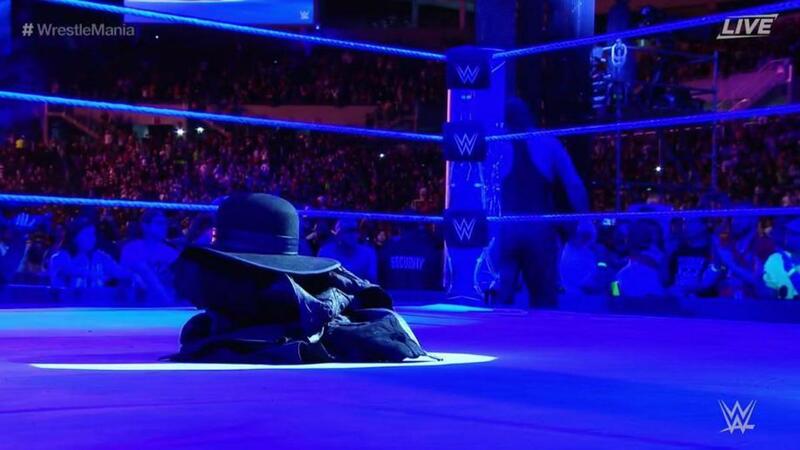 The biggest is that it appeared to be the final match of The Undertaker, who took off his gloves, his jacket and his hat. He placed them in the ring at the conclusion of the show. Undertaker had quietly retired last year after WrestleMania, leaving his gloves in the ring but that was not a public thing. The year before, in his loss to Brock Lesnar, Vince McMahon booked that finish with the idea it would be Undertaker’s last match and he needed to get the equity of the streak to build a star for the future. But this year, with the ceremony, it appears to be the real deal. Mark Calaway, 52, will be undergoing major hip surgery shortly. He had minor surgeries that didn’t take care of his issues, but alleviated some of the problems so he could come back to wrestle this year. He was very limited in the ring, moreso than ever before. The word going around Orlando all week was that Roman Reigns was beating him and he’d retire to end the show.